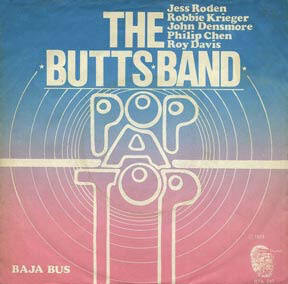 In 1973, Jess teamed up with John Densmore and Robby Kreiger from the Doors to form The Butts Band. Although it could be construed that Densmore and Krieger were attempting the impossible – trying to find a replacement for the Doors’ late Jim Morrison, this was actually a long way from the case. By the time they’d met Jess, they had already auditioned several singers, among whom were Kevin Coyne (then of Siren) and Howard Werth (of Audience). Indeed, Werth rehearsed with the pair for a week – and, alledgedly, (manager) Jac Holzman favoured Howard taking over the slot as he had once imagined that Audience would fill The Doors own spot on Elektra. Audience were falling apart as a band and Werth (potentially) merging to create a ‘new’ Doors’ had some (early ‘70’s) logic behind it. 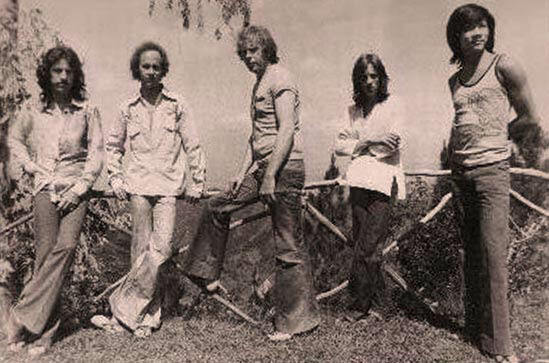 In the end it wasn’t to be as Ray Manzarek upped sticks and returned to L.A – effectively ending The Doors, per se, as a band for all time. “Then Dorothy, Ray’s wife, got pregnant and she had gone through some weird stuff. So Ray decided to go back home”. Densmore and Krieger hung on… and hung out some more staying at an hotel on Park Lane. 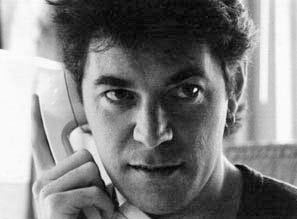 Harper was, at that time, juggling both tour management duties as well as f.o.h sound for a number of acts; he was also involved with Traffric and would later go on to either manage or co-manage Robert Palmer, UB40 and Ephraim Lewis. He also did f.o.h. sound when Bob Marley’s seminal Live At The Lyceum album was recorded, that July Saturday in the steaming hot summer of ‘74 when Arthur Ashe became the first black tennis player to win Wimbledon. JR - “I went and met them at their hotel and we talked and I was immediately taken with them as really down to earth, nice guys. ‘They said that The Doors had pretty much run its course and that Ray Manzarek had had some kind of problem and had gone back to LA and he wouldn’t be part of the new set up. ‘So... did I know any good bass players? Actually... several, but mostly it was Philip Chen for me at that time and so I suggested him. “The four of us went there over a number of days and jammed on some James Brown stuff and other soul classics. It all sounded pretty good although also, quite unusual. ‘Robby’s main influence and passion was flamenco guitar, John played in a jazzy style with plenty of cymbal work and subtle bass drum, Phil was pure motown/funk. It was decided that a keyboard player would add spice to the mix and so Phil called up a friend that he frequently worked with. 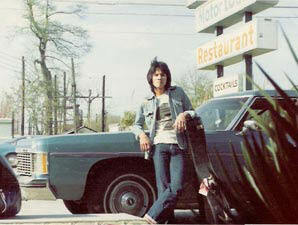 Besides Gonzalez, Davies’ pedigree included work on a number of recordings by Freddie King, Doris Troy and Maggie Bell. Before his untimely death, he would also work with Elton John, Madness, Dr Feelgood as well as guest on other of Jess’ records. And, after a couple of weeks work, the band decamped to Olympic and within a matter of (what seemed like) days, had half of an album in the proverbial can. 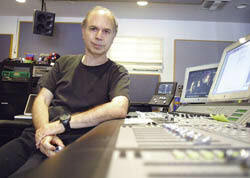 As an engineer and producer, Bruce Botnick recorded many top artists in the 1960s, particularly for Liberty – working with Jack Nitzsche. He is, however, probably better known for his work with the Elektra label. He was the engineer for Love’s first two albums, and co-produced their classic third album, 1967’s Forever Changes, with the band’s principal singer-songwriter, Arthur Lee. 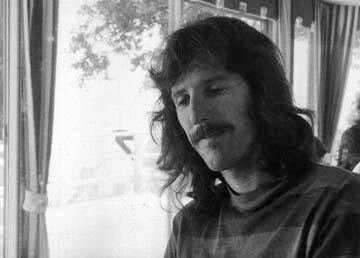 His relationship with The Doors goes back to engineering their first five albums before producing their last with Jim Morrison, L.A. Woman. He is also credited as engineer on the Rolling Stones’ Let It Bleed album as well as producing Eddie Money’s first two albums as well as two late 70s / early 80s records for Phil Collins’ group, The Beat. An Emmy nominee in 1994 (for Kenny Loggins’ Outside The Redwoods) Botnick has over 70 films to his credit including various Star Treks, Indiana Jones, Rambo, Poltergeist, Air Force One, Basic Instinct, Waterworld and Psycho 4 among many others. 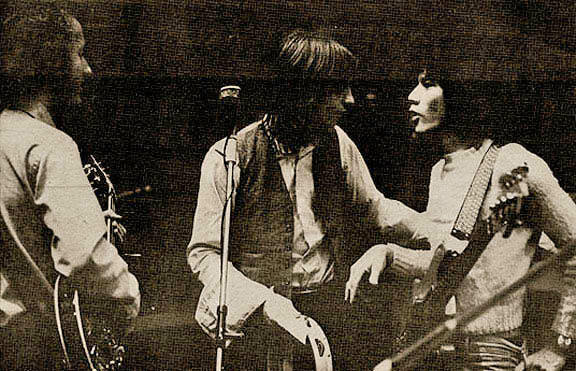 Far left, Robby Krieger (photographed during rehearsals at The Garrick House). * The fine house that Jess refers to was Garrick House - once owned by the English actor, playwright and theatre manager (notably Theatre Royal, Drury Lane) David Garrick (1717-1779), a friend of Dr Johnson and a seminal figure within 18th century theatre. 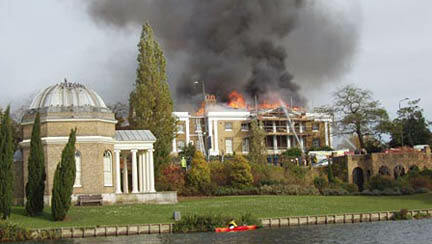 The main house was Grade 1 listed (in other words of extreme historical significance) but – and long after the fledgling Butts Band had moved on – was badly damaged by fire in October 2008. ... about an hour’s – uphill – journey from Kingston via exceedingly twisting and narrow roads before one reaches Strawberry Hill – set high into Irish Town in The Blue Mountains. 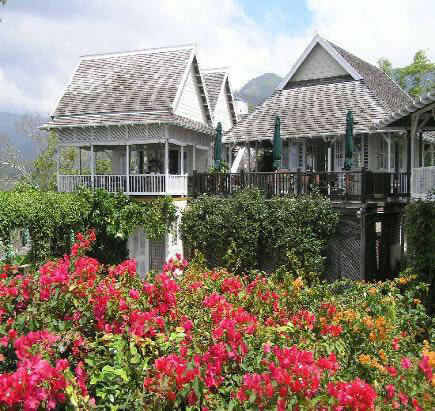 This, extraordinary mountain-top haven began life as an 18th century coffee plantation that was originally deeded by the British Royal Family to Horace Walpole. Indeed, his name is synonymous with the house of the same name in Twickenham, just west of London – after which this estate took its own name. Blackwell, himself, acquired the house in 1972 – and it was here that Bob Marley was transported – amidst great secrecy – after being wounded in the December 1976 assasination attempt just two days prior to “Smile Jamaica” – a free concert organized by the Jamaican Prime Minister Michael Manley in an attempt to ease tension between the warring political parties in Jamaica. The show went ahead to 80,000 people with Bob backed by Zap Pow since members of The Wailers were either in hiding or, simply, missing. ... was the idea of Bob Krasnow. He’d cut his teeth out on the road with James Brown before running King and then Kama Sutra Records. Krasnow recruited two key players from A&M – producer Tommy LiPuma and marketing man Don Graham, and, an entirely ‘different’ US record label was born. The label’s name actually came by way of Captain Beefheart; he was planning on calling his new band Blue Thumb but... Krasnow talked him out of it for the band... telling Beefheart he’d like it as the name for his label. 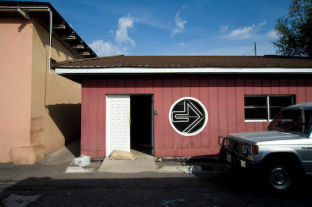 Krasnow and company located the label’s offices in Beverly Hills, making it the first upscale quasi-alternative music label in Hollywood and, in many senses, a mirror to Island in the UK. In addition to the music, Blue Thumb deliberately packaged their albums to appeal to the targeted buyer. 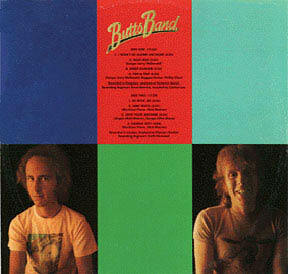 For example, many had fold-open or gatefold covers, and the graphics were never entirely predictable. Probably the most famous album packaging of their time was the Dave Mason album Alone Together, (BTS 19) pictured right, which was issued in a three-fold “kangaroo pack” opened up to become a poster for wall hanging (it even had a small hole in the top for the nail). 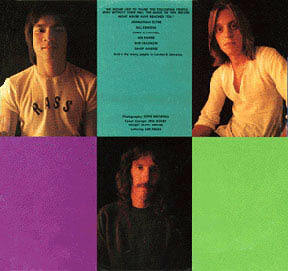 At the bottom of this poster was a pouch for the record album, which – clearly – was meant to be viewed as well as heard. Indeed, the record itself was unique – in the very literal sense of the word; it came pressed as marbled vinyl and this (effect) was made by the manufacturers dropping coloured pellets into the hot vinyl mix – the result being that the colour pattern of every single piece of vinyl produced was different. However, while undoubtedly unique... not entirely cost-effective. Island had a particularly loose licensing arrangement with Blue Thumb – only a handful of releases were given the coveted ILPS prefix – besides The Butts Band, records by Dan Hicks & His Hot Licks, The Crusaders, Phil Upchurch and National Lampoon’s recordings were among the very few. 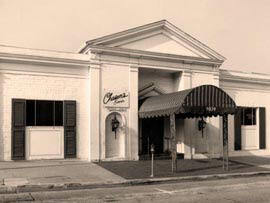 The US release party was held in Chasens,above, a very upscale restaurant in West Hollywood at 9039 Beverly Boulevard that, for many years, was the site of the Academy Awards party. It was also noted for its Chilli dishes – indeed, Liz Taylor had several orders of Chasen’s chilli flown to the set of Cleopatra while filming in Rome during 1962. Many of its regular customers had booths named after them – for example, the Ronald Reagan booth is now on display at the Presidential Library museum and was where he was seated when he proposed to Nancy. 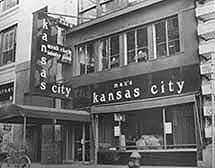 Sinatra, Alfred Hitchcock, Jimmy Stewart and Groucho Marx had booths named after them while the restaurant was also a favoured hang out for the likes of Gregory Peck, Bob Hope, Richard Nixon, Kirk Douglas and, in later years, John Travolta, Warren Beatty, Jack Nicholson and Mel Gibson. And... The Butts Band launch – well, Blue Thumb indulged in a (weird / of the time, maybe?) promotional exercise on the night that entailed three naked male streakers rushing around the restaurant with the band’s name inked across their buttocks. 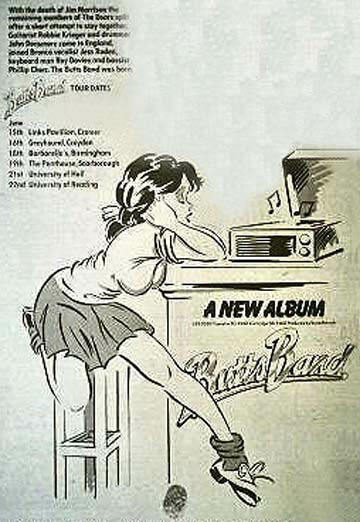 The band also played an album launch party at The Roxy on Sunset Strip in March 1974 before heading off on a short tour of the U.S. to promote the new album – including New Orleans, Boston, Dallas, multiple nights at Max’s Kansas City in New York and Philadelphia. The Wolfman (born plain Robert Smith) was, quite simply, a cornerstone of (American) rock history; over time becoming one of the most influential DJ’s of the sixties and seventies while also hosting The Midnight Special on NBC for nearly nine years with other of his shows being networked throughout all of North America. The gravel-voiced DJ spun his last in 1995. 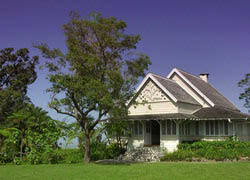 “And, I suppose we must have toured all over the country for about a month. 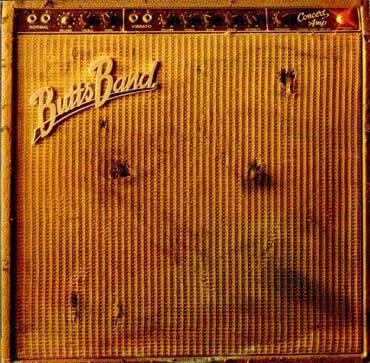 “The debut of The Butts Band provides many pleasurable moments with its economical medium-tempo rock. Roy Davies jazzy electric piano coupled with Kriegers tenuously blended guitar recalls The Doors ‘Riders on The Storm’.